Hi everyone! As you may have seen on social media, I will be graduating from North Carolina State University on Saturday with a Bachelor of Science in Business Administration and a concentration in marketing. Yep, that's a mouthful. It's been a long three years and I'm thrilled to be done. What you haven't yet seen on social media is how I decorated my graduation cap! This was kind of a big deal for me because we weren't allowed to decorate them at my high school so the pressure was on to think of the absolute perfect idea for my one chance to decorate it. After hours months of scouring Pinterest, I curated a pretty nice collection of ideas on my Senior Year board. I ultimately decided on a quote from the song in the Carousel of Progress ride in Tomorrowland at Disney's Magic Kingdom. It's perfect for me because I can't imagine having a quote that didn't involve Disney in some way but it's not over the top or specific to one movie/character. Big thanks to my mom and my friend, Katherine, for bringing my cap idea to life! Isn't Katherine's handwriting unreal?! 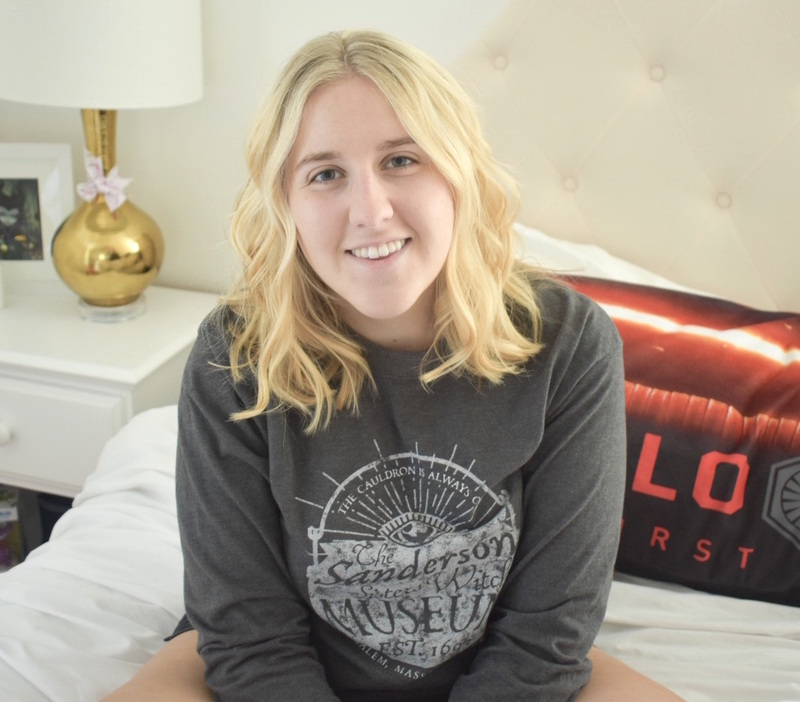 I would also like to thank my friend, Zara, for taking my senior pictures! Zara and I were in the same orientation group and then the same First Year College class for our first semester so she was my first college friend! 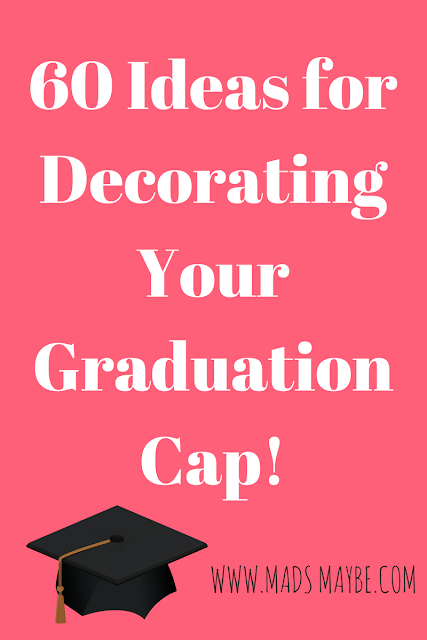 After all my research and exploration for my own grad cap, I put together a list of my favorites out of everything I found to provide some inspiration for your cap when you graduate! Below are 60 of my favorite ideas from all different categories - from Disney to future careers - that are clever and original. I kept the ideas pretty general so that you could put your own spin on them with unique colors and art to make them perfect for you. 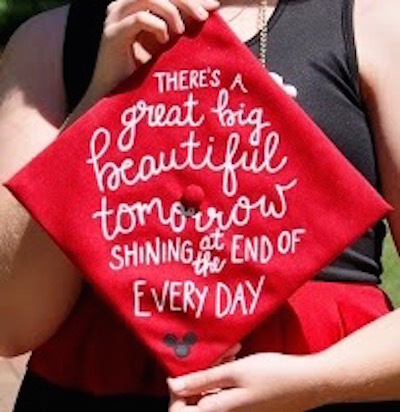 I wanted my grad cap to represent me as a person and Disney has been a huge part of my life since I was a toddler. It's a great way to show everyone what's special to you and who are you, besides just a college student. spongebob + patrick: four years later.... // we made it! legally blonde: what? like it's hard? Be sure to tweet me pictures of how you decorate your grad cap @madisoncarter12! I can't wait to see!